Spending time in the countryside can be rejuvenating and an escape from the rat race. Here are my top 5 rural places to unwind and enjoy the natural beauty…. With a name like Christ Church, it is perhaps fitting that we were there in the lead-up to Christmas. We visited a live nativity play which was lovely – a lady as Mary, a man as Joseph, a real baby Jesus, and lots of (real live) sheep, a donkey, and a llama. It was precious! 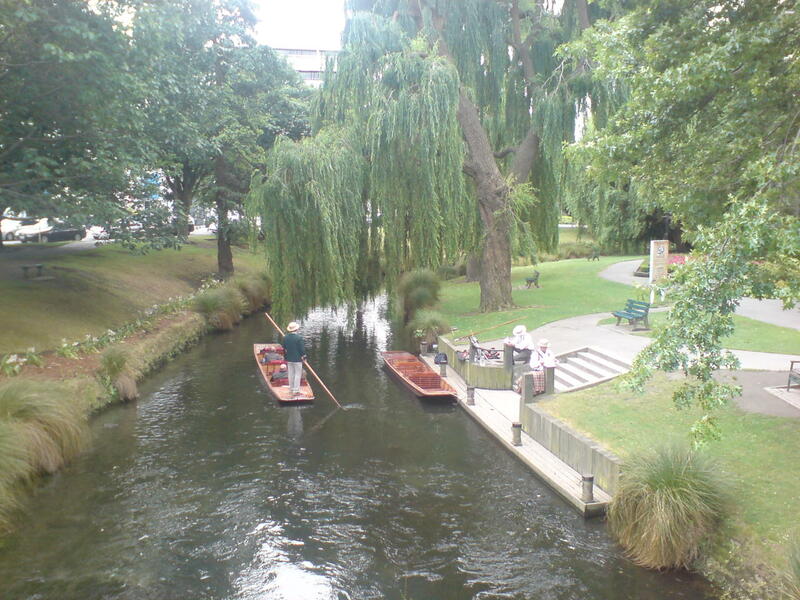 We found Christchurch to be serene and quiet, and we spent relaxing days watching the boating on the river, and cooing over the ducks with ducklings in tow. Franz Joseph itself reminded me of a ski-village, with lots of cute hotels, overpriced shops, and the view of snow-capped mountains all around. 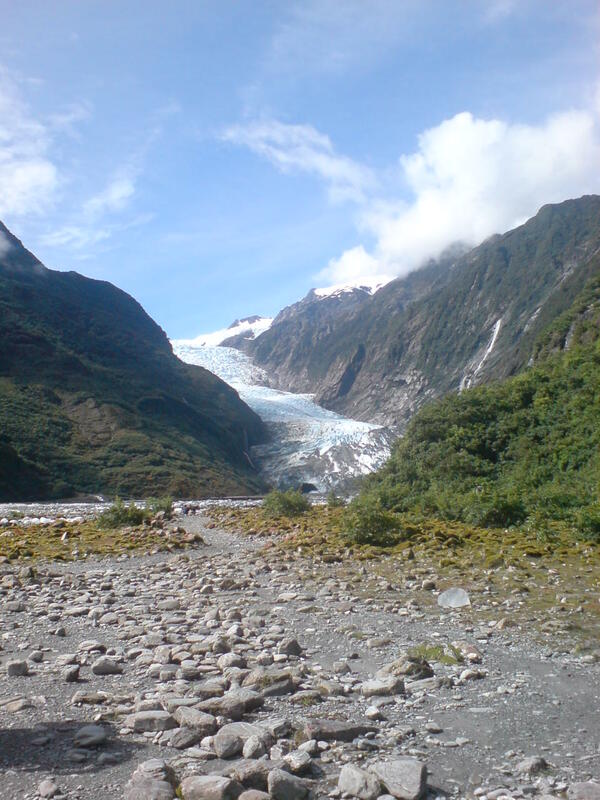 Despite being a magnet for tourists and backpackers, it managed to retain a peaceful air. 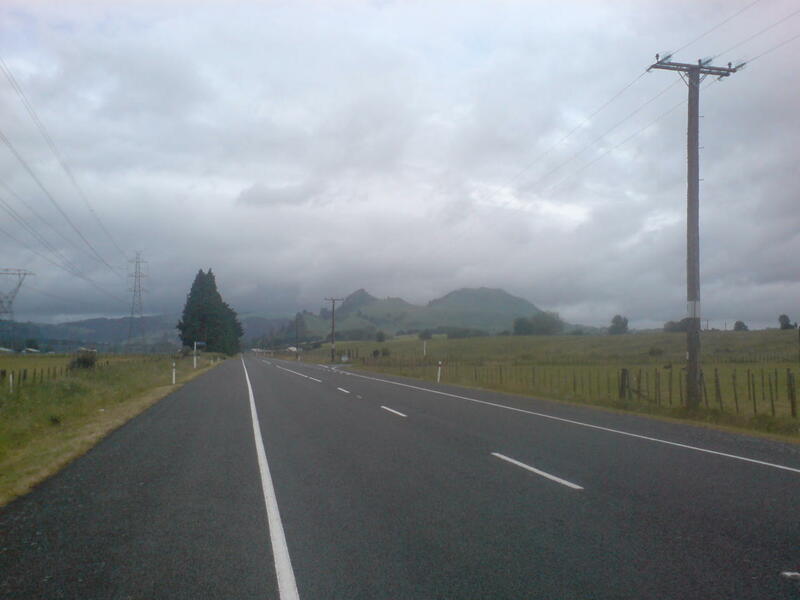 Greymouth – why so grey? Greymouth was a bit grey, I’m sorry to report. There wasn’t a lot to it, and it was a little sad and unexciting. There was enough in the way of amenities for the passing tourist, eg. supermarket, petrol station, McDonald’s, and a few shops and restaurants. But I felt that the town lacked any real character. 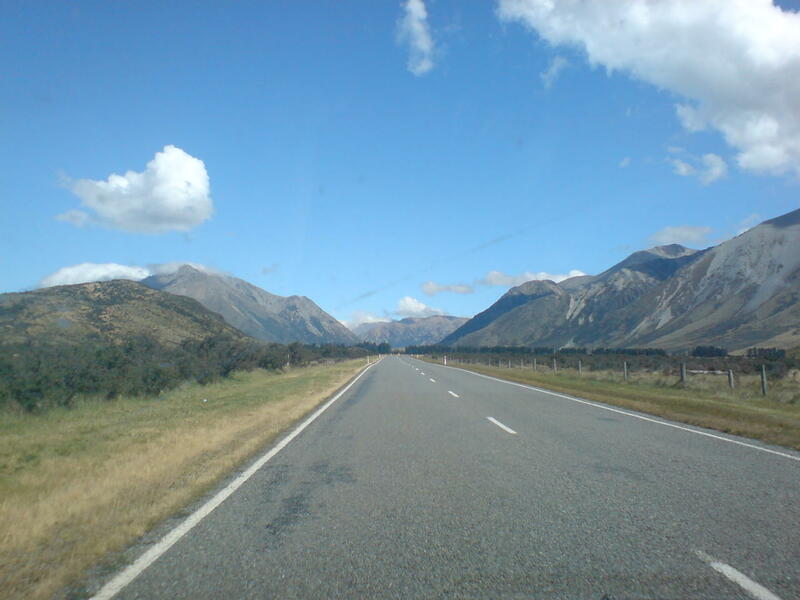 The drive to Kaikoura was the first (and only!) time I have been breathalysed. Not because I was drunk – the Police were breathalysing everyone on that road. They held something close to my mouth, which I assumed was a microphone, and they asked me to say my name. I said my name and was expecting them to explain what was going on, and then ask to breathalyse me. However apparently that was it – they must have breathalysed me when I said my name – so it was done without me knowing what was going on. I was miffed about that, but didn’t think it was worth complaining – they could have made my life a lot more difficult! So I walked away. Well, drove away, as I was sitting in a car at the time. 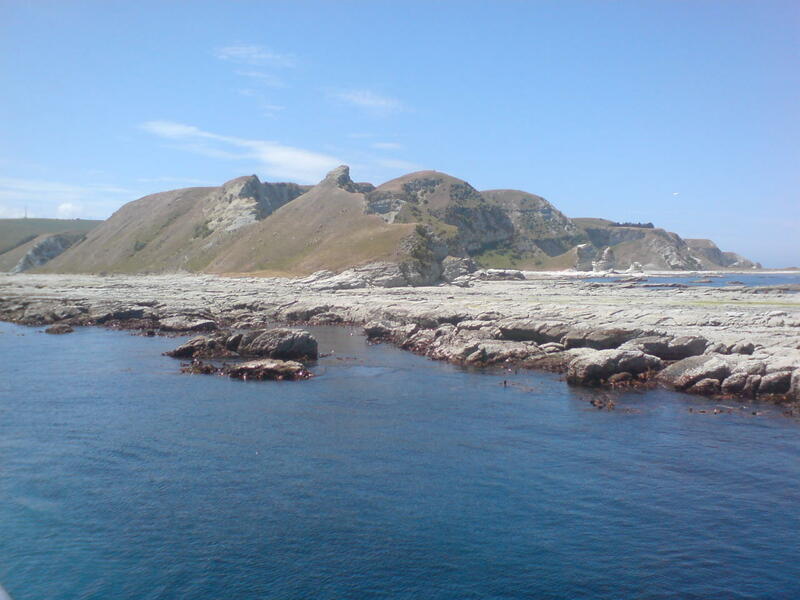 We went to Kaikoura for the same reason most people go to Kaikoura – for whale watching! Apparently the ocean floor drops off sharply just off the coast of Kaikoura, so the water is extremely deep relatively close to the shore. 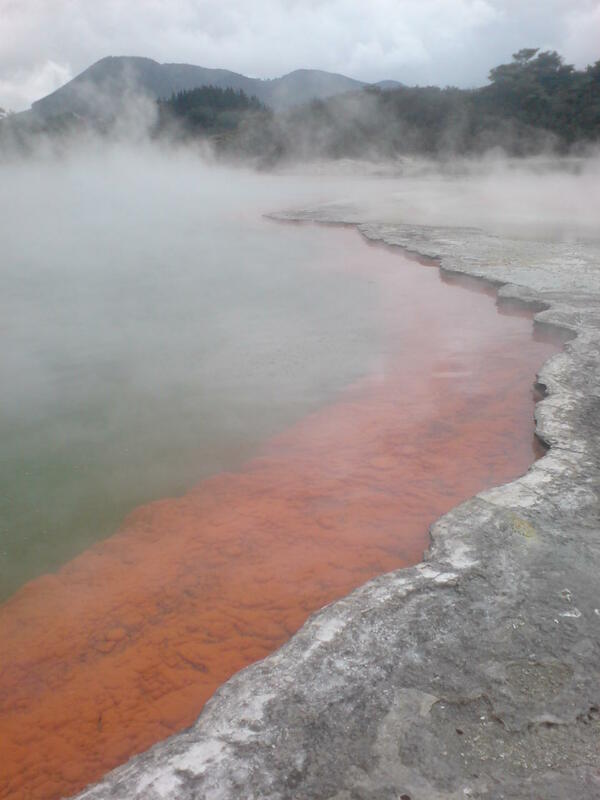 Rotorua – can you induce a geyser? Rotorua was truly exciting, unusual, and bizarre! It is a hot spot for geothermal energy, so you’ve got the likes of Geysers, bubbling mud, steam rising from the ground, and some very bright coloured lakes, due to naturally occurring minerals. I love things like this! We went to “Wai-O-Tapu”, which is a “geothermal wonderland” south of Rotorua. It is basically boardwalks around a park with various geothermal things to see. You do need to pay to go in here, but it was worth it. However, we also found various spots where you can see bubbling mud pools for free – the best was probably the public park, where there was even a blue mineral lake! There is a Geyser in a different geothermal park, but we could see it over the fence from the garden of our hotel! We were told that they induce the geyser by adding soap to make it erupt on demand – whether that is true I have no idea! Either way it was exciting to see a geyser! We enjoyed our time in Rotorua and could have happily stayed longer. Waitomo Caves – Road Trip, baby! We were excited to leave Auckland as it marked the start of our road trip!! We were a little disappointed on the motorway out of Auckland as it looked just like England. I don’t know what we were expecting – a magical land, clearly, but it looked to us like Devon or Wales. However, the further south we went, the more dramatic the landscape became (and the more excited we got! ).